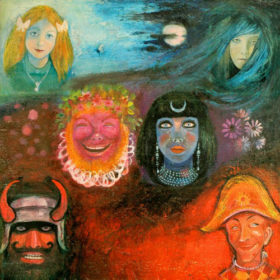 Red is the seventh studio album by English progressive rock group King Crimson, released in 1974 by Island Records in the United Kingdom and by Atlantic Records in the United States. 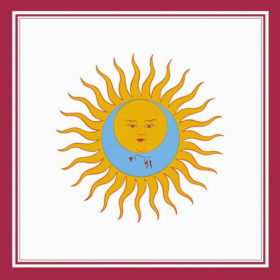 It was their last studio recording of the 1970s and the last before lead member Robert Fripp temporarily disbanded the group. Though their lowest-charting album at the time, spending only one week in the UK charts, Red has received critical acclaim. 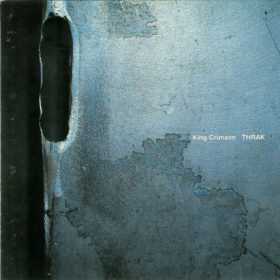 The album opens with the title track, a driving, hard rock instrumental. It features multiple time signatures including 5/8, 7/8 and 4/4. Its polyrhythmic melodies use octatonic and whole tone scales. The fourth track on the album, “Providence”, was recorded live at Palace Theatre, Providence, Rhode Island, USA, on 30 June 1974, and is the album’s only live recording. Charles Snider refers to the album as a “swan song”, and comments that “‘Providence’ packs just about everything improv-related from the last two albums into its eight short minutes.” A longer, unedited version of the track was first available on the live four-CD set The Great Deceiver and later added as a bonus track to the album itself for its release as part of the band’s 40th Anniversary Series. The original lyrics and melody for “Starless”were written by John Wetton. 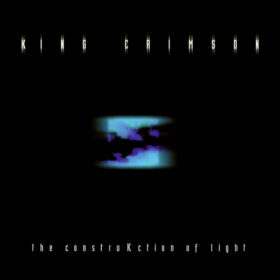 He originally intended the song to be the title track of the group’s previous album Starless and Bible Black. 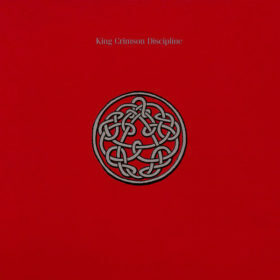 Fripp and Bruford had initially disliked the song and declined to record it for that album, with the group then choosing an instrumental composition as the title track for the Starless and Bible Black album. 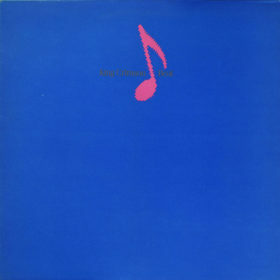 However, “Starless”was later revived, its lyrics alteRed and a long instrumental section (based on a bass riff in 13/4 contributed by Bruford) added to it, and performed live between March and June 1974. A discarded verse was later used by Wetton in UK’s “Caesar’s Palace Blues”. For the Red recording sessions, the lyrics were again alteRed (with contributions by Richard Palmer-James). 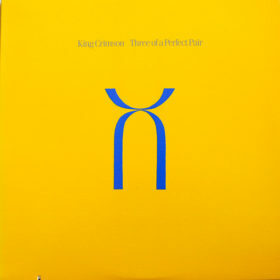 The introductory theme, originally contributed and played by David Cross, was taken over by the guitar, with Fripp making minor alterations to the melody. 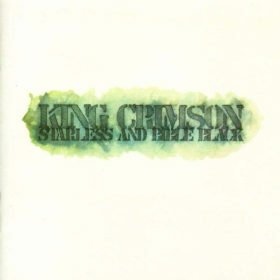 As the title “Starless and Bible Black”had already been used, the original title was shortened to “Starless”.